UP and Coming events this year! Europe/Rest of the world - please can you email rwood@knockaloe.im with your address for postage amounts. Please ensure you pick the correct delivery location so that the correct delivery charges are applied. Orders with incorrect delivery charges will be held until the difference is paid. Originally built in 1914 to accommodate 5,000 aliens and a guard of at least 500, then an additional 5,000 interns in May 1915 (and further additions as the war continued), Knockaloe Camp eventually grew to a size holding approximately 23,000 internees. The inmates of the camp proved to be eternally creative and a record of some of their achievements is presented in this volume. 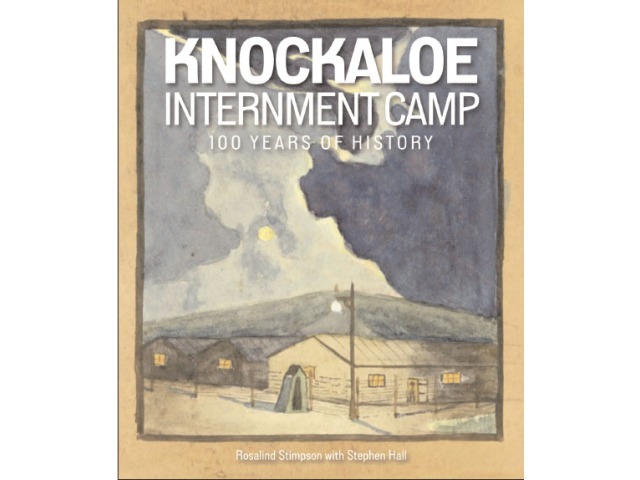 Along with photographs and artwork ranging from paintings to printed postcards and other craft items, this book illustrates and illuminates the history of Knockaloe Internment Camp through some of the unique collection of Stephen Hall. Size: Softback,210mm x 210mm 96 pages.